The majority of the records and 45’s I own on the Gas label are really bad. It seems that they focused on smaller regional Mexican acts whose prerequisite for getting on the label was that the band had to be horrible. However, every now and again, the label seemed to be keen on allowing cover songs of really obscure US funk and soul music. 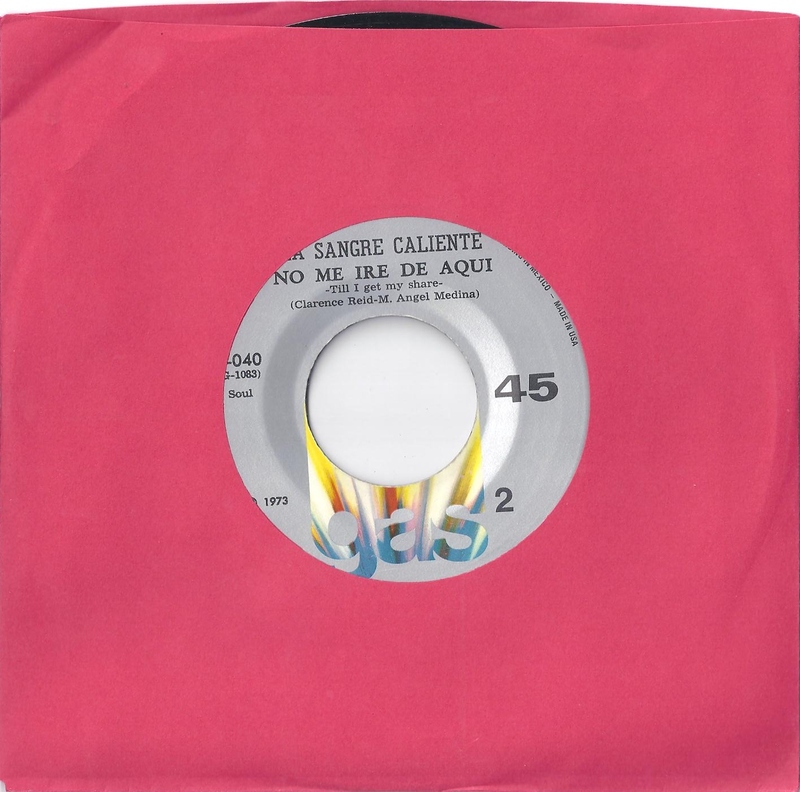 The early 70’s Mexican group La Sangre Caliente has had their seminal self titled Lp recently reissued and their rendition of La Culebra was a Vampi-Soul favorite for many years. I actually own their only album, but the dope cover Clarence Reid’s “Till I Get My Share” never made it on that record for some reason. 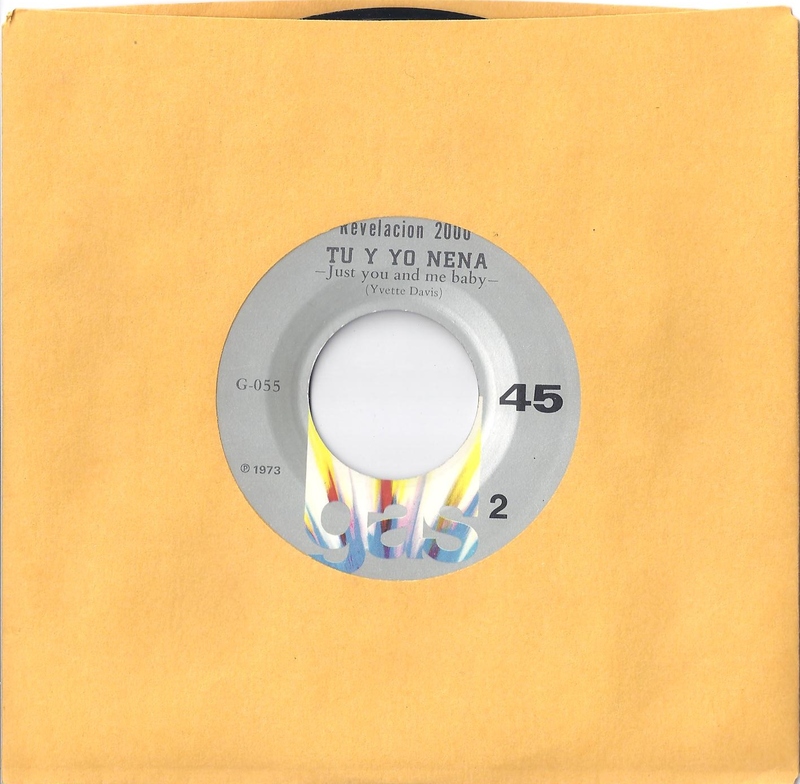 The romantic balada group Revelacion 2000 even gets into the act with a cover of The Spinners “Just You And Me Baby” – they even do a version of “Killing Me Softly” but unfortunately I couldn’t find the 45. Anyway, sorry for the short post. I’ve been grasping for material lately. But hang in there, I just have to dig a bit deeper, I’m sure I have more surprises. Please please please Enjoy!!! P.S. I told you the Packers would win. actually the gas label has a good number of very rare break records out there on LP and 45 i happen to own many.